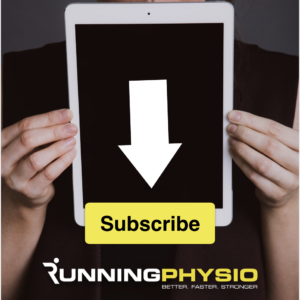 You might get the impression from research and discussions on social media that achilles tendinopathy is fairly straight forward to treat – just load it! While progressive loading is undoubtedly important in most cases it is far from a cure all. In fact research suggests that at 5 year follow up only 65% of patients treated with progressive exercise are recovered and symptom free. What happens to the other 35%?! Today’s guest blog from Benoy Mathew and Rob Mast looks to answer this question and explore other options for when current best management isn’t effective. Achilles tendinopathy (AT) is a common running-related injury, encountered by clinicians in musculo-skeletal and sports medicine clinics (Jarvinen et al, 2005) and represents 20% of all tendon pathology in the lower limb (Waldecker et al, 2012). Reported estimates of the prevalence of AT are 9-11% in runners and may involve long periods of rehab and can be frustrating for the injured runner (Kujala et al, 2005). It is interesting that achilles is the most frequently injured tendon, despite being the strongest and the thickest among human tendons (Alrashidi et al, 2015 ; Doral at al, 2010). The first line of treatment for achilles tendinopathy is progressive loading of the muscle-tendon unit and the kinetic chain (Cook et al, 2018). A training period of 12-16 weeks of progressive loading is recommended in AT for improvement in pain and function. The majority of runners will respond to this regimen, along with education on load management, addressing relevant psycho-social factors and a graded return to running. However, conservative management will prove to be inadequate for a subset of patients, despite an extensive period of rehabilitation (Sayana et al, 2007). This blog explores two commonly used adjuncts, Extracorporeal Shockwave Therapy (ESWT) and High-Volume Injection (HVT), for managing chronic achilles tendon pain, when routine conservative care has been unsuccessful. ESWT is application of high-energy sound waves, through a medium such as water or coupling gel, to human tissues (Chung & Wiley, 2002). It was orginally used for the treatment of renal stones. Recently, it has been shown to an effective intervention in lower limb tendinopathies such as greater trochanter pain syndrome, patellar tendinopathy and achilles tendinopathy, when other non-operative treatments have failed (Mani-Babu et al, 2015). There are two distinct type of shockwave devices (Radial and Focused) which are commonly used in management of musculo-skeletal disorders. Althougt the exact mechanism of shockwave is not understood completely, it has been shown to create an inflammatory response, decrease the number of sensory free nerve endings, enhance angiogenesis and trigger the endogenous pain control system (d’Agostino et al, 2015). It has been hypothesized that stimulation by ESWT could increase the mitogenic response of tendon (Chen et al, 2004) and increase expression of lubrycin (Zhang et al, 2011). What is the currrent evidence for ESWT in Achilles Tendinopathy? Multiple randomised controlled trials have shown that ESWT can be an effective treatment for patients with chronic achilles tendinopathy (Rompe et al, 2007; Rasmussen et al, 2008; Vahdatpour et al, 2018). A systematic review of six trials has shown satisfactory evidence for the effectiveness of shockwave in the treatment of chronic AT at a minimum of three months (Al-Abbad et al, 2013). A combination of loading exercises and ESWT was shown to be more effective than loading alone in a randomised controlled trial (Rompe et al, 2009). Patients under the age of 60 and those with AT of less than 12 months duration may benefit earlier and to a greater extent than older patients and those with greater chronicity (Taylor et al, 2016). There have been no major adverse effects noted during the treatment and ESWT has been shown to be a safe and viable option for treatment of AT (Saxena et al, 2011). The treatment duration is less than 3 minutes and the dosage parameters should be individualised by the clinician, based on pain levels and chronicity of the condition, to minimise discomfort. However, the treatment can be painful and the treated area could be sore for few hours after treatment. A period of relative rest (48 hours) is often recommended following shockwave therapy. A large systematic review of 106 articles has shown that ESWT is an effective and safe non-invasive treatment option for chronic tendon disorders (Schmitz et al, 2015). There were no reports of serious adverse events in any of the studies included in the review. There are specific contra-indications for shockwave therapy as indicated below. Most clinical studies recommend 3-4 sessions, which is usually adminstered once every 1-2 weeks. In certain cases, additional sessions might be required, based on the clinical judgment of the therapist. This short video below demonstrates the practical application of shockwave therapy by Benoy Mathew in a recreational runner with chronic achilles tendon pain. His symptoms have been persistent for more than a year and he has not responded to therapy input, including progressive loading programme. What is high volume Achilles tendon stripping? Several case series have described the benefit of high-volume (stripping) injection (HVI) for the treatment of recalcitrant Achilles tendinopathy (Chan et al. 2008, Humphrey et al. 2010, Resteghini and Yeoh 2012). Due to concern regarding deleterious effects of steroid, a recent case series from Abdulhussein et al. (2017) compared HVI with 25mg of hydrocortisone to HVI of 40mls fo saline without steroid. This study found no significant difference in efficacy between the HVI and steroid vs saline only group. They concluded that it was likely that the mechanical effects were responsible for the improvement rather than the steroid. However until recently there have been no studies with a control group. Boesen et al. (2017) conducted a randomized double blinded controlled trial (n=60) to determine whether eccentric training in combination with high-volume injection (HVI) plus steroid (10mg Triamcinolone Acetonide) or platelet-rich plasma (PRP) injections improved outcomes in those with midportion achilles tendinopathy. They found that both HVI or multiple PRP injections (4 injections with 2 week intervals) was superior compared with eccentric training alone at the time points studied. HVI seemed to be more effective at improving pain, function, and patient satisfaction than PRP in the short term (6 and 12 weeks) but not medium term (24 weeks). In order to find out whether or not the steroid was an important factor in the superior efficacy of HVI, this same group conducted another RCT (Boesen et al. 2018) to determine the effect of steroid in HVI. The researchers showed that HVI with corticosteroid improved the condition significantly more so than HVI without corticosteroid in the short term: 6/52 and 12/52 but not at 24/52. The above studies used different injectable steroids. Abdulhusein et al. (2017), Chan et al. (2008), Humphrey et al. (2010) and Resteghini and Yeoh (2012) all used hydrocortisone (25 mg) whereas Boesen et al. (2017) used Methylprednisolone (20 mg) which is a longer acting and more potent steroid (see table below). It is possible that the relatively high dosage of the steroid used, as well as the relative superior anti-inflammatory activity played a significant role in the favourable outcome of Boesen’s studies. One concern with steroid and loadbearing tendons is the risk of tendon rupture which anecdotal reports have alluded to. However there is no documented evidence in the literature of complications with HVI (Boesen, 2017). Evidence in direct achilles tendon substance injections in rabbit achilles tendons showed localized tendon necrosis but this was not seen with peri-tendinous steroid injection (Mahler et al, 1992), Shrier et al (1996) in their review and critical appraisal of the available literature found that there was insufficient published data to determine the risk of steroid injections to tendons. A number of case series have shown benefit of HVI in treating mid-tendon achilles tendinopathy. Recent RCTs (Boesen et al 2017, 2018) seem to be supporting this. Boesen’s 2018 RCT study suggests that adding steroid to HVI improves outcomes significantly. Whilst there is no documented evidence in literature of complications with HVI, there is insufficient data to determine the risk of steroid injections to tendons. When conservative therapy fails, other non-invasive treatment measures may be considered in the management of AT. ESWT and HVI should not be considered as a substitute, but instead adjuncts to the rehabilitation programme in chronic cases, which don’t respond to usual treatment. They may be useful in the management of recalcitrant Achilles tendinopathy in patients attempting to avoid a surgical intervention. Further studies are required to establish the long-term efficacy of these interventions in management of chronic achilles tendinopathy. Ben is a lower limb specialist physiotherapist and Extended Scope Practitioner in the NHS. He also works in private practice in central london (www.harleystphysio.co.uk). Ben has a special interest in Running Injuries and Chronic Hip and Groin conditions. He is passionate about application of research in clinical practice and is involved in regular teaching on multiple courses, both in the UK and overseas. He is a Master Trainer for Shockwave therapy in the UK and ambassador for Venn Healthcare, Ltd. Rob works as an Extended Scope Practitioner in the NHS (Homerton University Hospital Foundation Trust). He uses diagnostic ultrasound at the point of care as an adjunct to his clinical skills. He also works one day per week as a MSK diagnostic and interventional sonographer in the radiology department of Homerton Hospital University Foundation Trust where he performs a wide range of ultrasound guided procedures for MSK conditions. Abdulhussein, H., Chan, O., Morton, S., Kelly, S., Padhiar, N., Valle, X., King, J., Williams, S. and Morrissey, D., 2017. High Volume Image Guided Injections with or without steroid for mid-portion Achilles Tendinopathy: A Pilot Study. Clinical Research on Foot & Ankle. Al-Abbad, H. and Simon, J.V., 2013. The effectiveness of extracorporeal shock wave therapy on chronic achilles tendinopathy: a systematic review. Foot & ankle international, 34(1), pp.33-41. Boesen, A.P., Hansen, R., Boesen, M.I., Malliaras, P. and Langberg, H., 2017. Effect of high-volume injection, platelet-rich plasma, and sham treatment in chronic midportion achilles tendinopathy: a randomized double-blinded prospective study. The American journal of sports medicine, 45(9), pp.2034-2043. Boesen, A.P., Langberg, H., Hansen, R., Malliaras, P. and Boesen, M.I., 2018. 19 High-volume injection with and without corticosteroid in chronic midportion achilles tendinopathy–a randomised double blinded prospective study. Chan, O., O’Dowd, D., Padhiar, N., Morrissey, D., King, J., Jalan, R., Maffulli, N. and Crisp, T., 2008. High volume image guided injections in chronic Achilles tendinopathy. Disability and rehabilitation, 30(20-22), pp.1697-1708. Chen, Y.J., Wang, C.J., Yang, K.D., Kuo, Y.R., Huang, H.C., Huang, Y.T., Sun, Y.C. and Wang, F.S., 2004. Extracorporeal shock waves promote healing of collagenase‐induced Achilles tendinitis and increase TGF‐β1 and IGF‐I expression. Journal of Orthopaedic Research, 22(4), pp.854-861. Chung, B. and Wiley, J.P., 2002. Extracorporeal shockwave therapy. Sports medicine, 32(13), pp.851-865. Cook, J.L., Stasinopoulos, D. and Brismée, J.M., 2018. Insertional and mid-substance Achilles tendinopathies: eccentric training is not for everyone–updated evidence of non-surgical management. d’Agostino, M.C., Craig, K., Tibalt, E. and Respizzi, S., 2015. Shock wave as biological therapeutic tool: from mechanical stimulation to recovery and healing, through mechanotransduction. International journal of surgery, 24, pp.147-153. Humphrey, J., Chan, O., Crisp, T., Padhiar, N., Morrissey, D., Twycross-Lewis, R., King, J. and Maffulli, N., 2010. The short-term effects of high volume image guided injections in resistant non-insertional Achilles tendinopathy. Journal of science and medicine in sport, 13(3), pp.295-298. Mahler, F. and Fritschy, D., 1992. Partial and complete ruptures of the Achilles tendon and local corticosteroid injections. British journal of sports medicine, 26(1), p.7. Mani-Babu, S., Morrissey, D., Waugh, C., Screen, H. and Barton, C., 2015. The effectiveness of extracorporeal shock wave therapy in lower limb tendinopathy: a systematic review. The American journal of sports medicine, 43(3), pp.752-761. Rasmussen, S., Christensen, M., Mathiesen, I. and Simonson, O., 2008. Shockwave therapy for chronic Achilles tendinopathy: a double-blind, randomized clinical trial of efficacy. Acta orthopaedica, 79(2), pp.249-256. Resteghini, P. and Yeoh, J., 2012. High-volume injection in the management of recalcitrant mid-body Achilles tendinopathy: a prospective case series assessing the influence of neovascularity and outcome. International Musculoskeletal Medicine, 34(3), pp.92-100. Rompe, J.D., Nafe, B., Furia, J.P. and Maffulli, N., 2007. Eccentric loading, shock-wave treatment, or a wait-and-see policy for tendinopathy of the main body of tendo Achillis: a randomized controlled trial. The American journal of sports medicine, 35(3), pp.374-383. Rompe, J.D., Furia, J. and Maffulli, N., 2009. Eccentric loading versus eccentric loading plus shock-wave treatment for midportion achilles tendinopathy: a randomized controlled trial. The American journal of sports medicine, 37(3), pp.463-470. Sayana, M.K. and Maffulli, N., 2007. Eccentric calf muscle training in non-athletic patients with Achilles tendinopathy. Journal of Science and Medicine in Sport, 10(1), pp.52-58. Saxena, A., Ramdath Jr, S., O’halloran, P., Gerdesmeyer, L. and Gollwitzer, H., 2011. Extra-corporeal pulsed-activated therapy (“EPAT” sound wave) for Achilles tendinopathy: a prospective study. The Journal of Foot and Ankle Surgery, 50(3), pp.315-319. Schmitz, C., Császár, N.B., Milz, S., Schieker, M., Maffulli, N., Rompe, J.D. and Furia, J.P., 2015. Efficacy and safety of extracorporeal shock wave therapy for orthopedic conditions: a systematic review on studies listed in the PEDro database. British medical bulletin, 116(1), p.115. Schimmer, B.P. and Funder, J.W., 2011. ACTH, adrenal steroids, and pharmacology of the adrenal cortex. Goodman and Gilman’s the pharmacological basis of therapeutics, pp.1209-1236. Shrier, I. and Matheson, G.O., 1996. Achilles tendonitis: are corticosteroid injections useful or harmful? Taylor, J., Dunkerley, S., Silver, D., Redfern, A., Talbot, N., Sharpe, I. and Guyver, P., 2016. Extracorporeal shockwave therapy (ESWT) for refractory Achilles tendinopathy: a prospective audit with 2-year follow up. The Foot, 26, pp.23-29. Vahdatpour, B., Forouzan, H., Momeni, F., Ahmadi, M. and Taheri, P., 2018. Effectiveness of extracorporeal shockwave therapy for chronic Achilles tendinopathy: A randomized clinical trial. Journal of research in medical sciences: the official journal of Isfahan University of Medical Sciences, 23. Zhang, D., Kearney, C.J., Cheriyan, T., Schmid, T.M. and Spector, M., 2011. Extracorporeal shockwave-induced expression of lubricin in tendons and septa. Cell and tissue research, 346(2), pp.255-262. Previous articleRunning Repairs – New course dates for Birmingham and St. Albans! Next articleCan running socks save our seas?